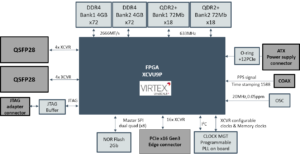 On board programmable PLL oscillator (Si5345), highly flexible and configurable clock generator. The XpressVUP is CAPI 2.0 capable on the POWER9 CPU host processors(IBM) and also supports the IBM SNAP framework. 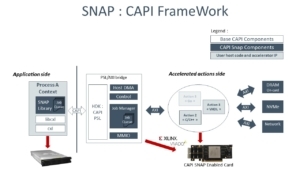 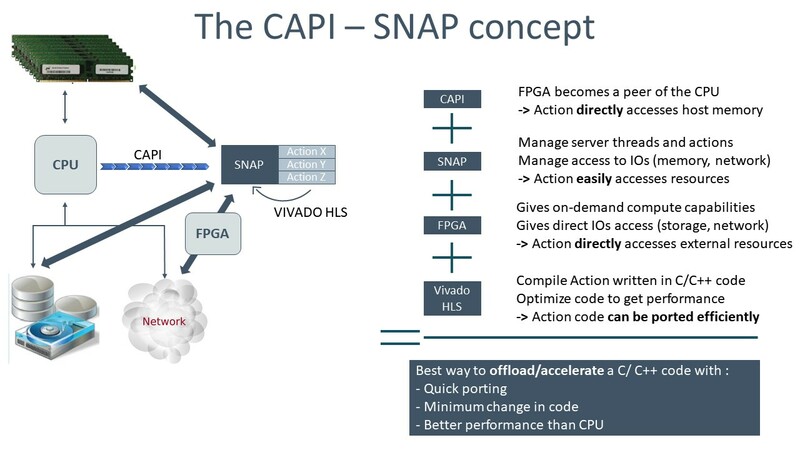 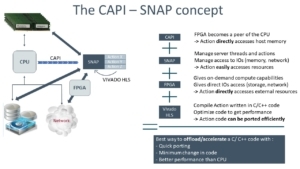 With little FPGA knowledge, the SNAP framework allows application engineers to quickly create FPGA-based acceleration programs in a server environment. 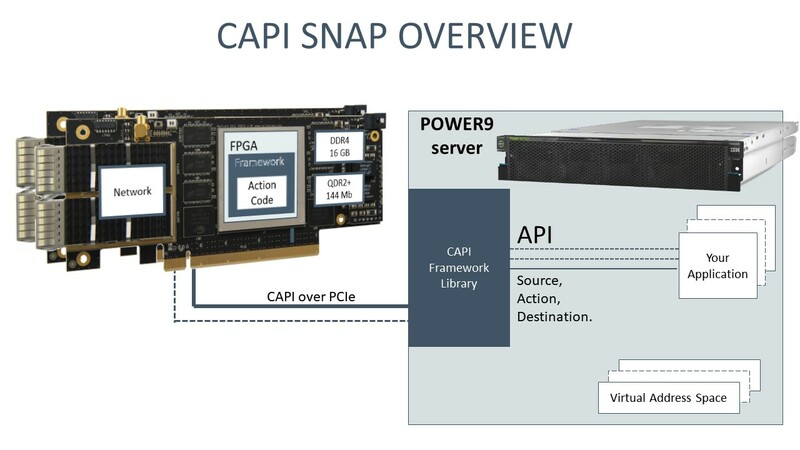 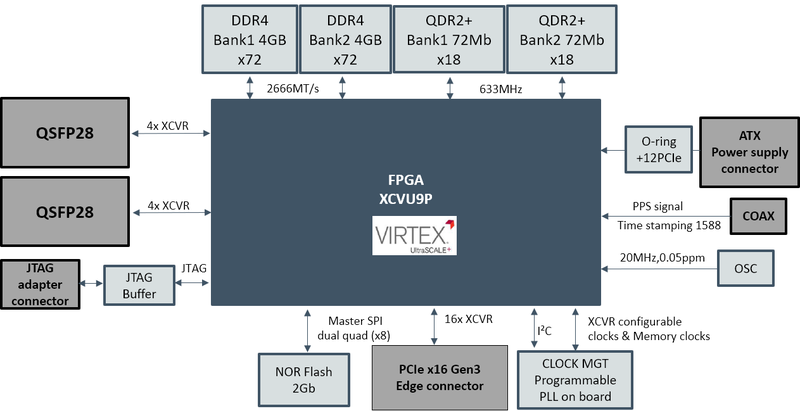 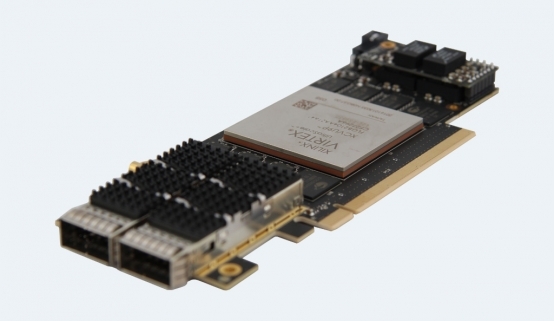 It uses the IBM CAPI 2.0 Interface which works on standard PCIe physical lanes, but with the benefits of lower latency and coherent memory sharing between CPU and FPGA. 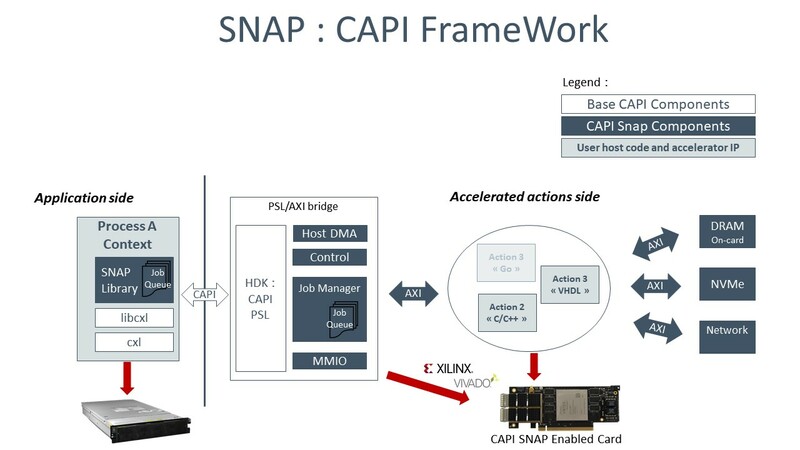 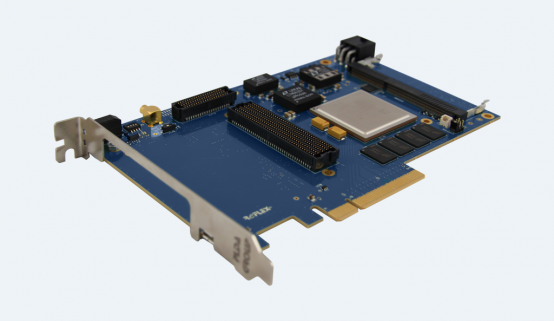 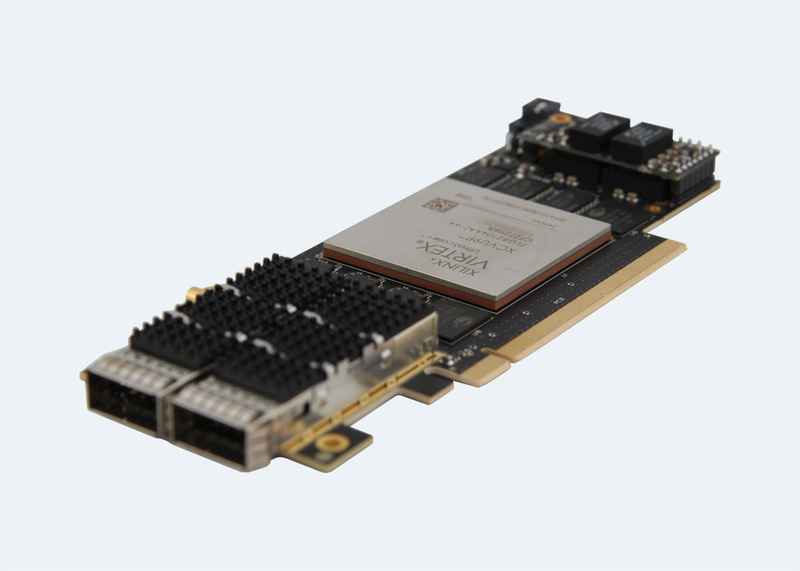 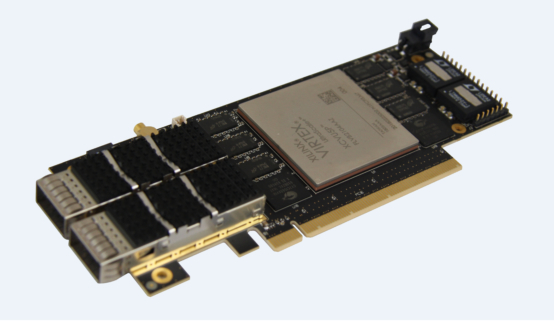 With limited engineering efforts, the XpressVUP board, in combination with CAPI2.0 SNAP, gives our customers the opportunity to significantly increase the performance of applications like storage, Network and analytics programming.